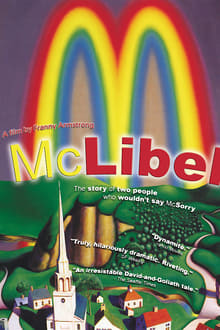 McLibel is a documentary film directed by Franny Armstrong for Spanner Films about the McLibel case. The film was first completed, as a 52 minute television version, in 1997, after the conclusion of the original McLibel trial. It was then re-edited to 85 minute feature length in 2005, after the McLibel defendants took their case to the European Court of Human Rights.